Privacy is the greatest luxury at The Somerset West Villa Guest House. 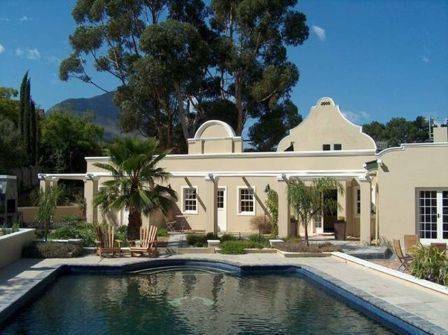 This 4200 m² property is one of the original buildings in the Somerset West area, with the main Casa Sereno house being built in 1923. Discreetly hidden from public view is this tranquil oasis offering only ten, but exquisite large luxury rooms for the discerning guest who values great comfort and out-standing hospitality. 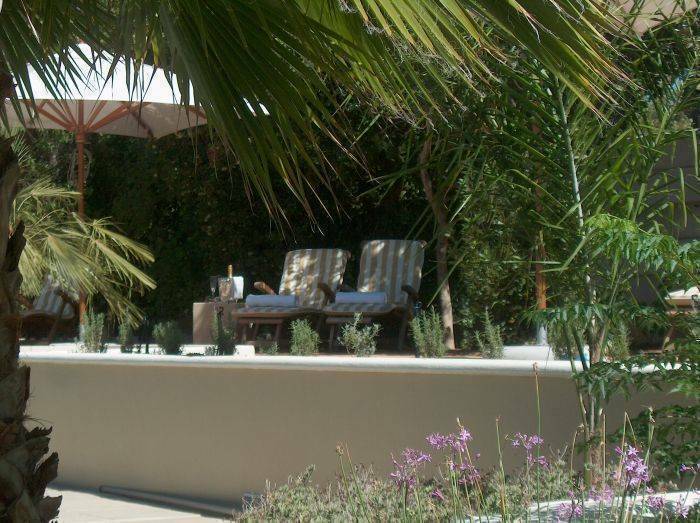 Most rooms have a separate, exterior entrance and a private terrace with garden-furniture. The rooms are beautifully decorated, walls are painted with neutral tones, a personal touch makes this place an "oasis of peace and tranquility". of the great South African weather. 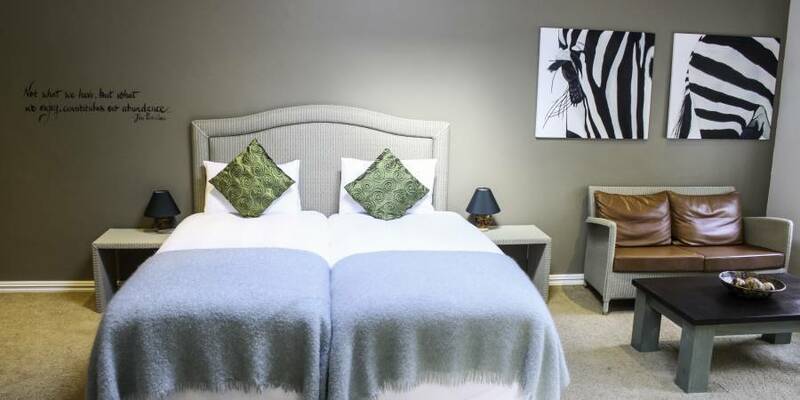 Somerset West Villa Guesthouse caters for individual travelers as well as small groups. provide the best possible level of service at affordable rates to all guests. Conferences for 12 guests possible. the features of a modern world we have a Wireless LAN hotspot free of charge. Within a radius of 10 km you can go to explore the ‘Cape Highlights’ like: the beach, play golf, visit large shopping malls and enjoy internationally acclaimed wine estates and fine restaurants. From here you have the ideal starting point for day trips to the city of Cape Town, Robben Island, Table Mountain, Boulders Beach with its penguins, Cape Point, Hermanus, where the spectacular seasonal gathering of the Southern Right Whale take place, Franschhoek and Stellenbosch. It is only 20 minutes to Cape Town Airport and 35 minutes to Cape town city centre. experience the overwhelming beauty of the Western Cape in true South African style. Less than half a century ago, the town’s population was no more than 20 000, but it has since expanded greatly to become a highly desirable national and international holiday and retirement destination. Somerset West now has a great infrastructure, the amenities of a premier holiday resort and a large shopping mall, Somerset Mall, with over 60 shops, boutiques, restaurants and more for your convenience. 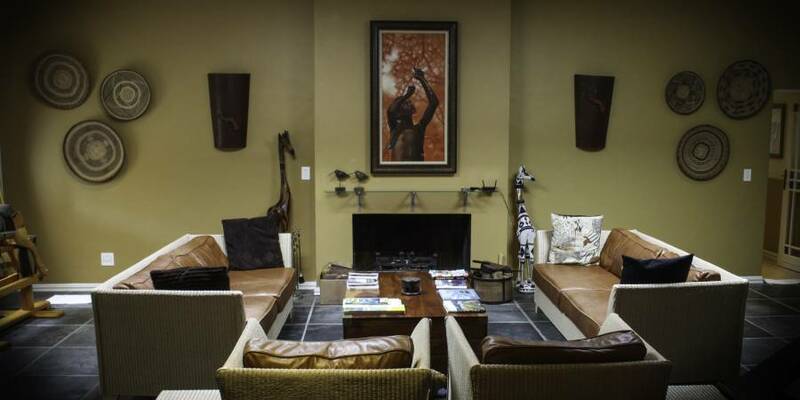 World-class medical services are also offered at a first-rate private hospital, the Vergelegen MediClinic. 	Bookings are only confirmed once Credit Card, Cash or EFT deposit has been received in the amount of 50% of the total booking value. Once this has been done it is agreed that the conditions of the cancellation policy have been accepted. Final payment of the remaining 50% of the total booking value is due in our bank account no less than 30 days prior to arrival date to avoid cancellation. Credit Card guaranteed bookings will be charged automatically, bookings via Cash / EFT should forward proof of payment prior to due date. •	Less than 7 days prior to arrival, No-shows, & Early Departures at 100%. 	Cancellations are only accepted in writing (e-mail or fax). We recommend that all travellers take out cancellation insurance. We will be pleased to render an invoice to your insurers in the event of a claim. We always confirm cancellations in writing. Please demand written acknowledgement that we have accepted your cancellation. This is the only proof of cancellation we will accept. 1. Take the N2 highway in the direction of Stellenbosch/Somerset West. 2. Continue on the N2 until exit 43 (the sign says R44, Stellenbosch and Broadway Blvd). Take into consideration that most street names are down on the curbs! 3. Turn left towards Stellenbosch and onto the R44. Continue on the R44 until you reach the first traffic light (Main Road), where you turn right towards Somerset West. 4. At the next traffic light (Helderberg College Road), turn left. Continue up the hill and pass a 4-way stop. Approximately 300 metres after the 4-way stop, on your right, is 136 Helderberg College. The sign says Somerset Villa Guesthouse. 5. Drive into the gravel road up to the gate. You have arrived at our very special guesthouse - welcome! 6. Press the intercom button so we can let you in. 1. From Stellenbosch you drive south on R44 towards Somerset West and Strand. 2. Approximately 14 km from Stellenbosch you will reach Somerset West. Directly after you pass the 80 km/h sign, turn left into The Old Stellenbosch Road. The sign also reads Helderberg Estate. Take into consideration that most street signs are down on the curbs! 3. Continue to a small circle and keep going straight until you reach a 4-way stop. 4. At the 4-way stop, turn left into Helderberg College Road. Approximately 300 metres after the 4-way stop, on your right, is 136 Helderberg College. The sign says Somerset Villa Guesthouse.